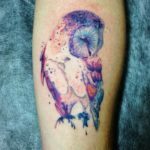 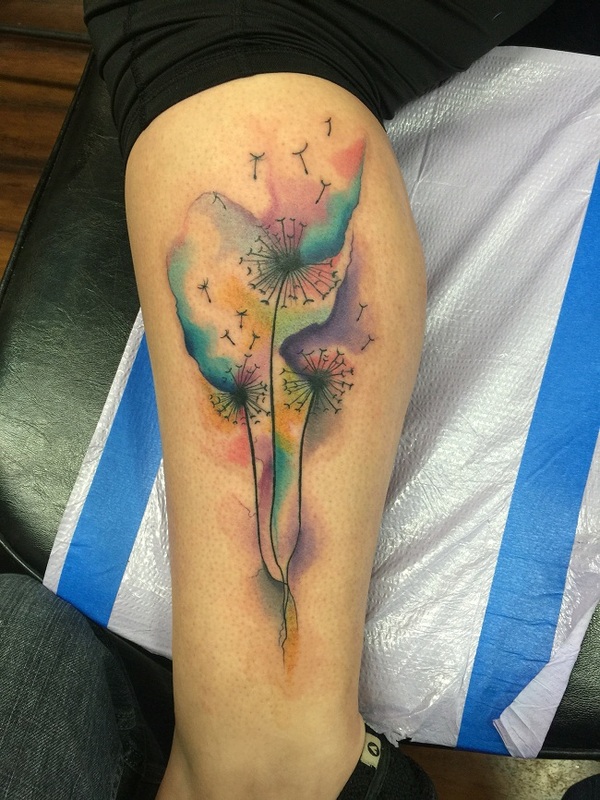 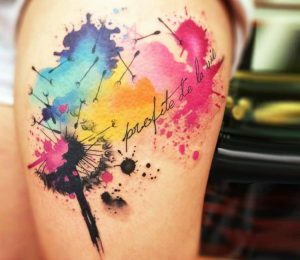 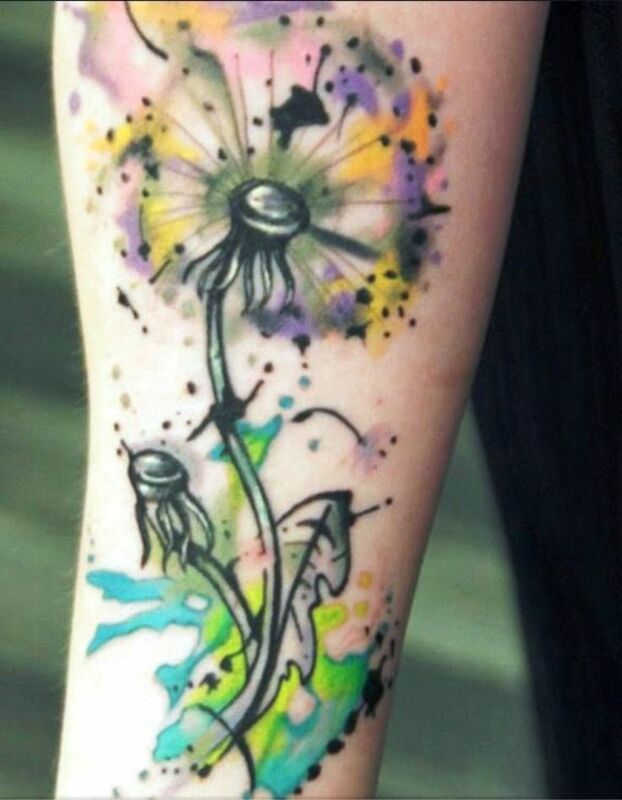 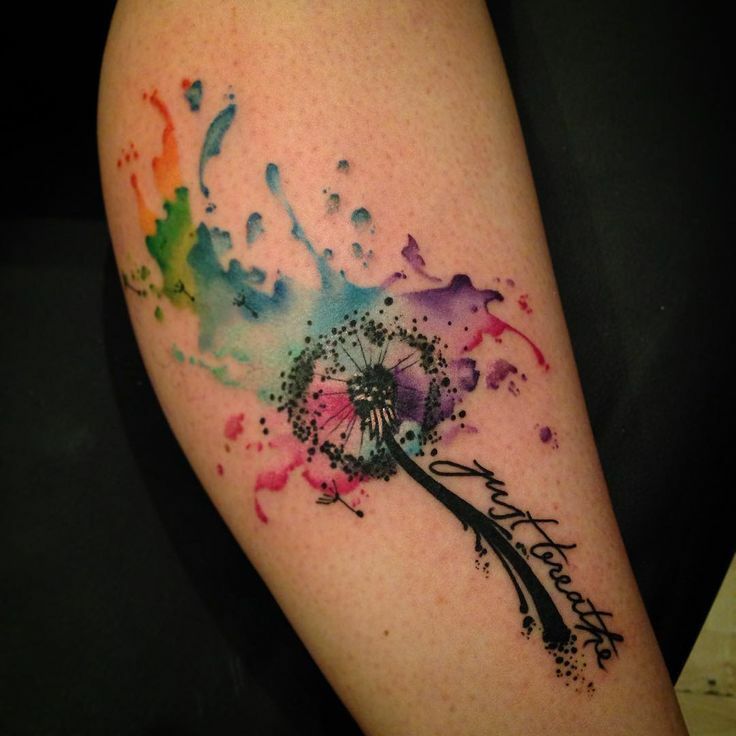 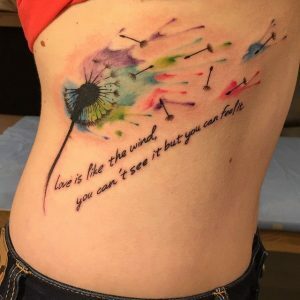 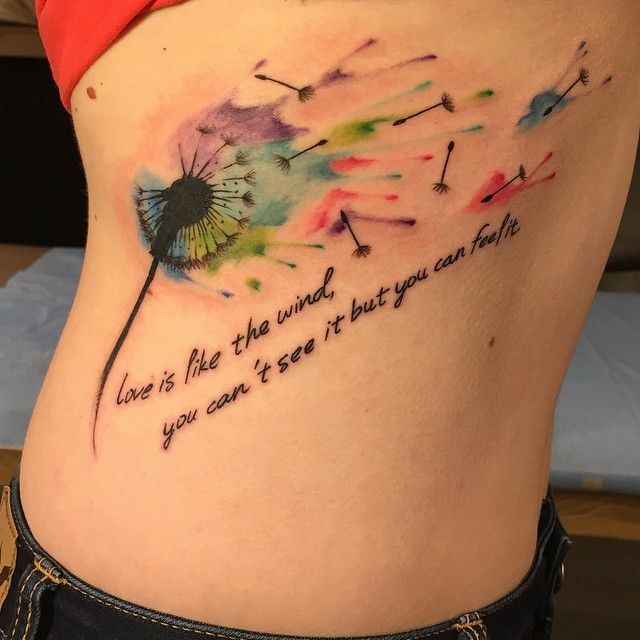 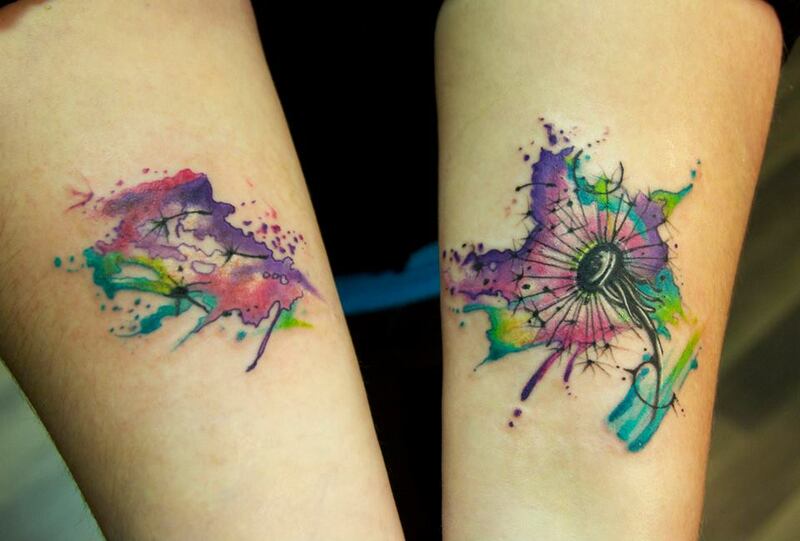 Watercolor and Dandelion has a great combination when it comes to drawing tattoos on the body. Water is generally used as a symbolism of life whereas a dandelion tattoo drawn with watercolor means life itself. 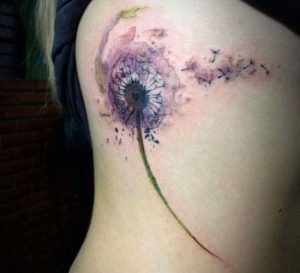 They come in mesmerizing designs as if like the dandelions are actually drifting away in the air. 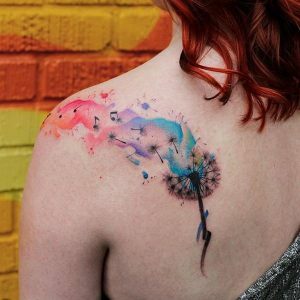 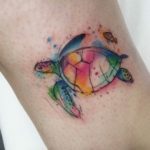 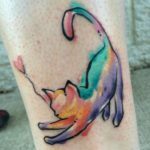 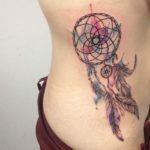 The use of color can be optional, but if you opt for that, the tattoo looks simply amazing. 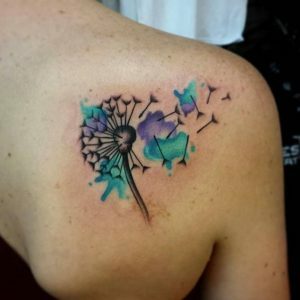 The beautiful patterns can be drawn on shoulder, legs, arms, arms, and calves of both men and women.